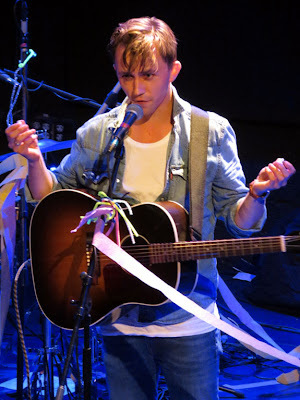 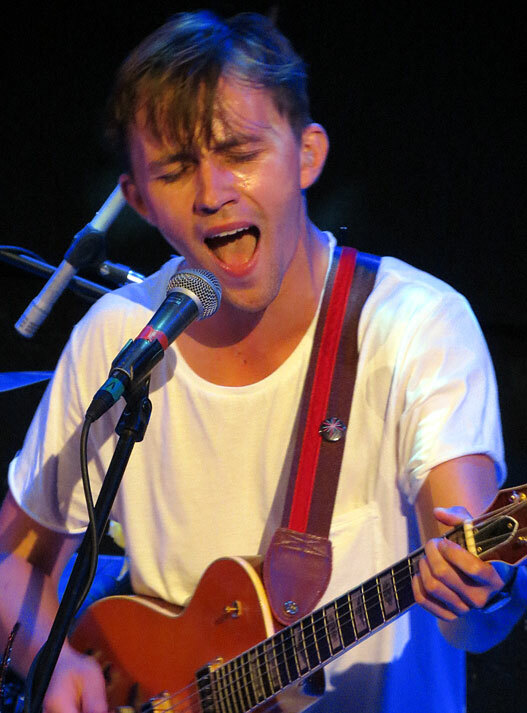 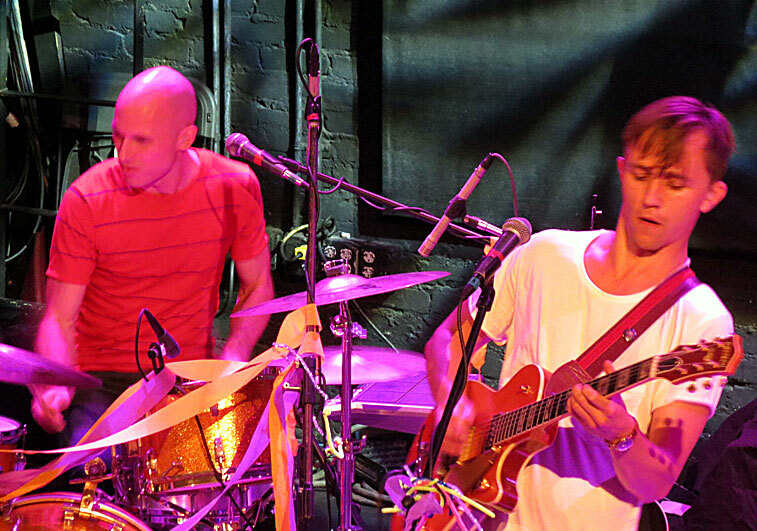 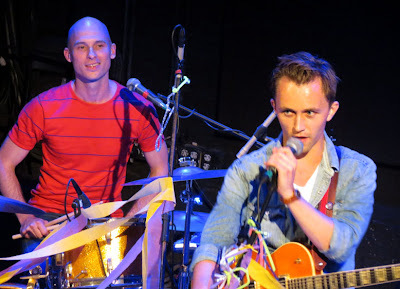 Wednesday night's show was a celebration of both Sondre Lerche's 30th birthday and the release of Fancy Colors' first CD Near Equator. 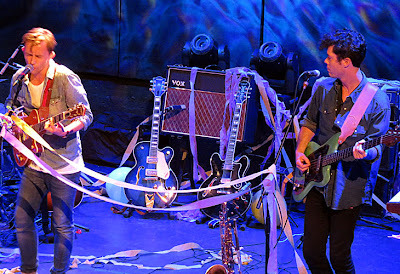 Zac Colwell and Dave Heilman who make up Fancy Colors, were not only Sondre Lerche’s opening band but his backing band as well. 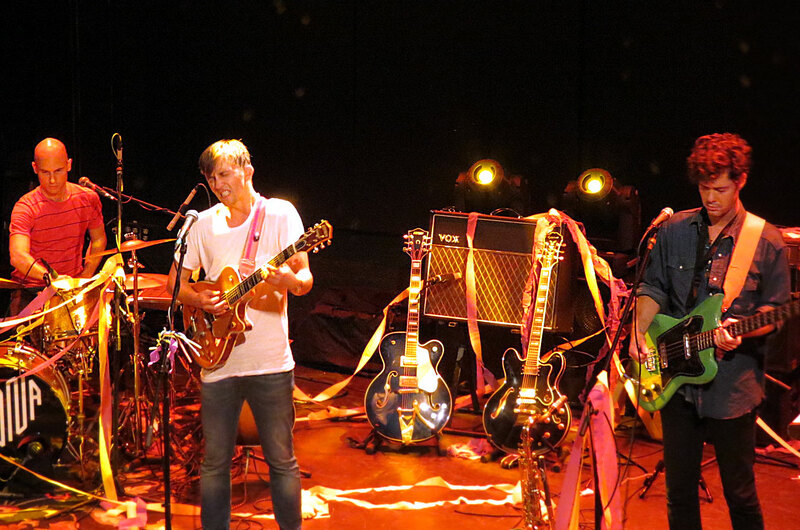 Since it was my first time hearing Fancy Colors, I wished they had done a longer set. However I did understand that having Fancy Colors play Lerche’s set, as well as their own, was a long time to be performing. 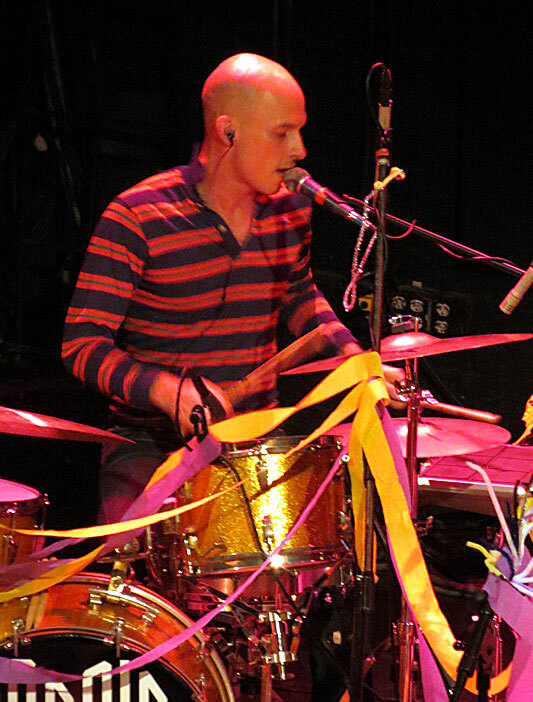 While waiting to get into the Bowery Ballroom’s main room, I stood behind two young ladies with party supplies (I’m talking Hallmark not drugs.) Once in the room and seated in the balcony, I saw the ladies had multiplied into a group of four, all wearing their party hats and standing directly in front of the stage. As the evening unfolded, Lerche's first Birthday song was sung to him in Norwegian by a small group in the audience. 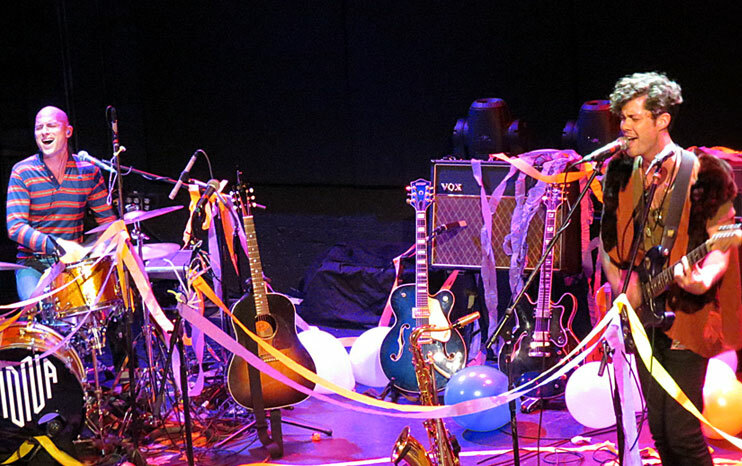 The second song later came from the entire audience who sang the traditional “Happy Birthday,” in English. 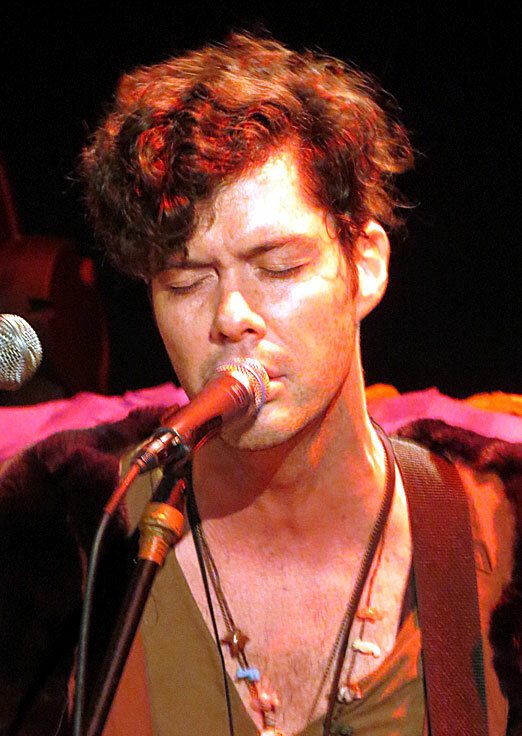 Zac Colwell has performed with quite a few bands but I have seen him before as part of the band Chappo in 2010. 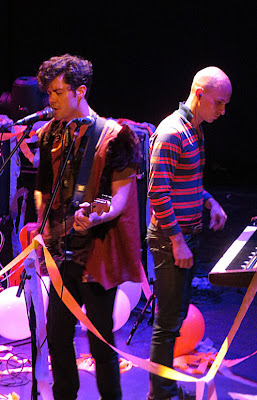 (see my Midnight Juggernauts posting from November of 2010.) 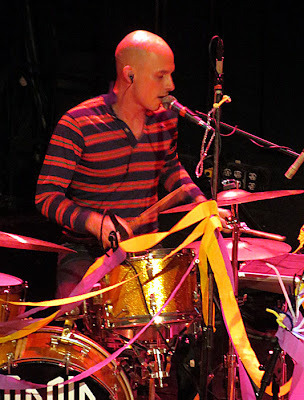 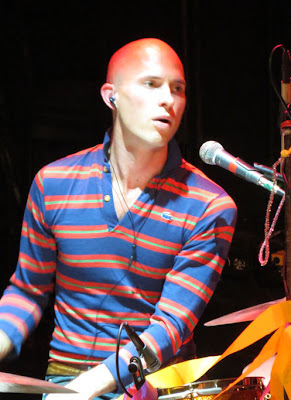 From what I could tell from Fancy Colors bio, drummer Dave Heilman, has also played with several bands and has been friends with Cowell since their band Jupiter One. 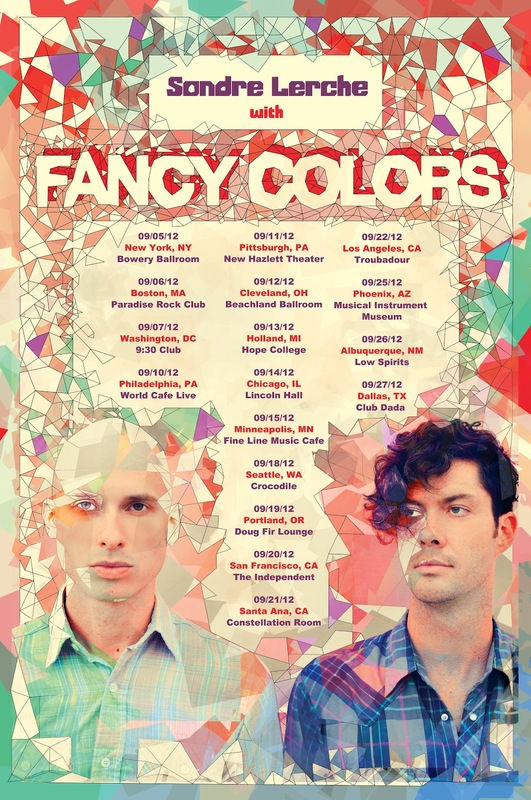 I found Fancy Colors music to be pop; theirs songs always had strong choruses which were sometimes filled with thick harmonies. 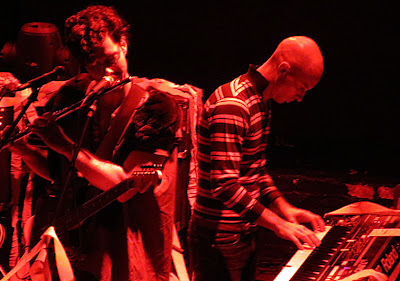 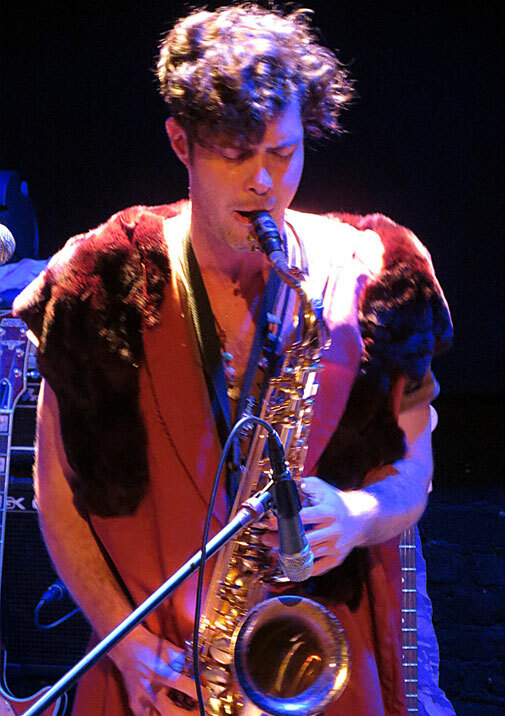 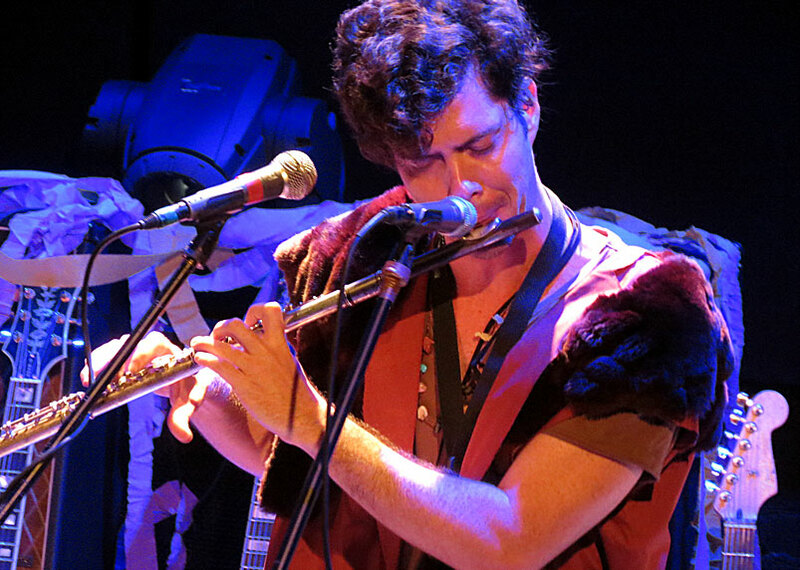 However, their looped keyboard, flute and sax riffs often gave their music an ethereal quality. And although they could definitely go there, I wouldn’t call Fancy Colors’ music World Music but I would say that it has worldly quality to it that is beyond US borders. 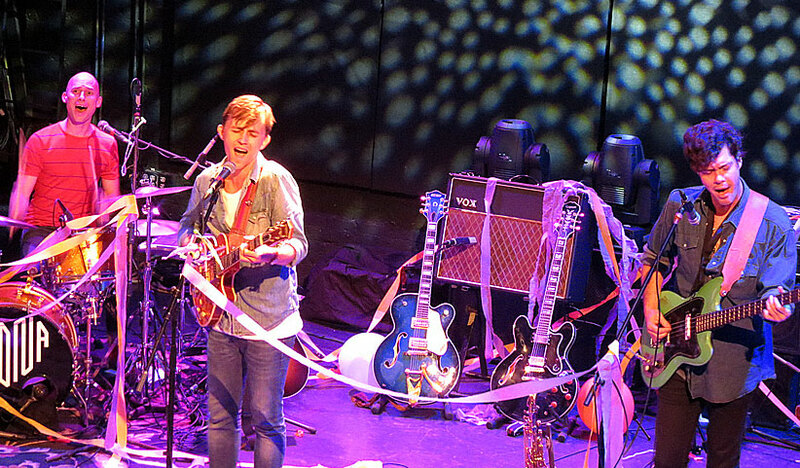 Fancy Colors music seemed directly juxtaposed to Sondre Lerche’s music, yet Fancy Colors seemed as comfortable playing his music as they did there own. 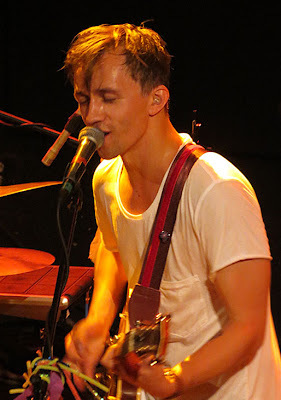 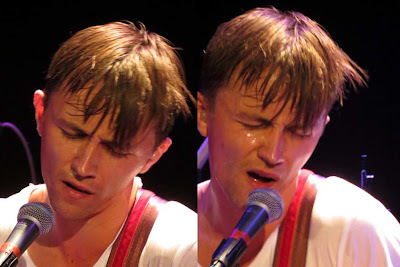 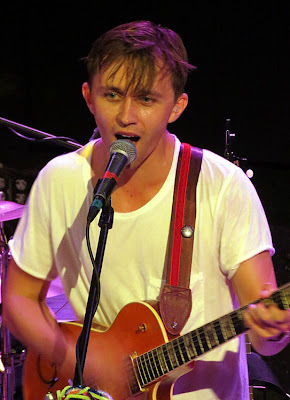 I’ve been wanting to see Sondre Lerche for a long while but every time he’s played in the past, I always had some sort of conflict. 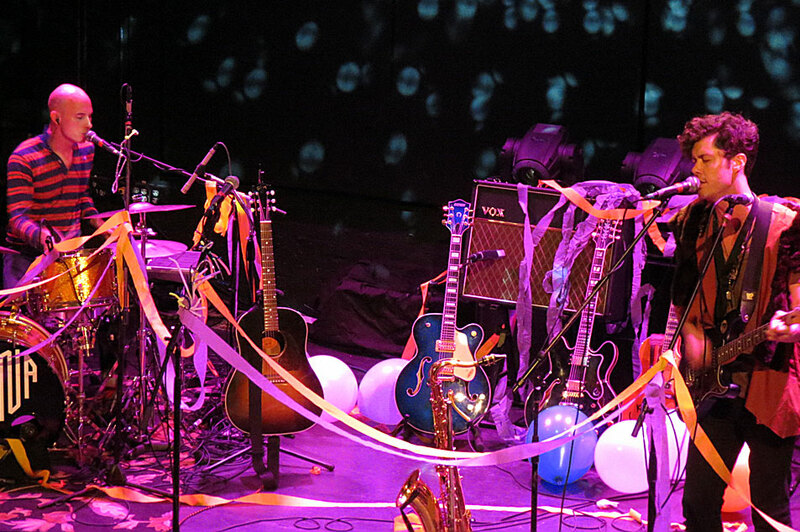 This time Daddy BOUGHT the ticket and made it his priority to see him. There is something about Lerche’s music that I really love. 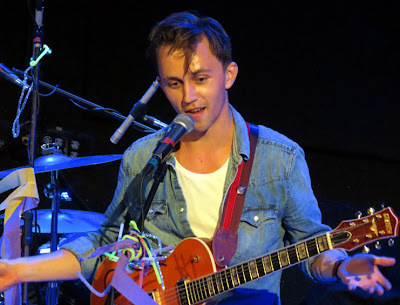 I think it’s that he’s musically all over the map, in same way that Elvis Costello can be very punk and be influenced by Burt Bachrach; I get the feeling that Lerche can be very indie rock and influenced by Jobim. Sondre Lerche played a mean guitar on Wednesday adding guitar solos to those songs which originally felt like Jazz standards. For the special occasion, the opening date of his birthday tour, Lereche concentrated on playing older songs from his catalogue. He played many great songs, but my favorites were “The Curse of Being In Love,” “I Wanna Call It Love” “Two Part Monologue,” “On The Tower” and “Sleep On Needles.” All in all it was great show. Having not seem Lerche before, I’m can’t compare his mood to previous shows, but I will say that I very much enjoyed watching him have a good time on stage which was worth twice the price of admission.